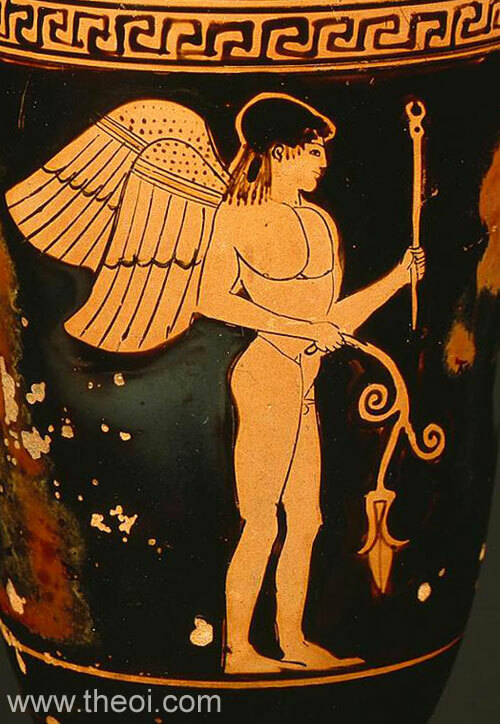 Eros is portrayed as the herald of blossoming love with a herald's wand and flower bloom held in his hands. He may be the eros Pothos (Passion), son of Iris and Zephyrus. The wand is Iris' attribute and the flower suggests the god of the spring breeze.